There were numerous incarnations of the Four Fellows, starting as early as the mid-1940s, before the name was decided upon and the personnel became more or less fixed. After some initial outings on the Derby Records label, the Four Fellows became the first act to be signed to Phil Rose's Glory label. 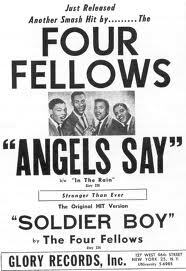 After two unsuccessful single releases (one of which was with Bette McLaurin), the Four Fellows released "Soldier Boy," a song written in 1951 by David Jones and Larry Banks, two of the members of the group (Banks is not credited), when they were serving in Korea. 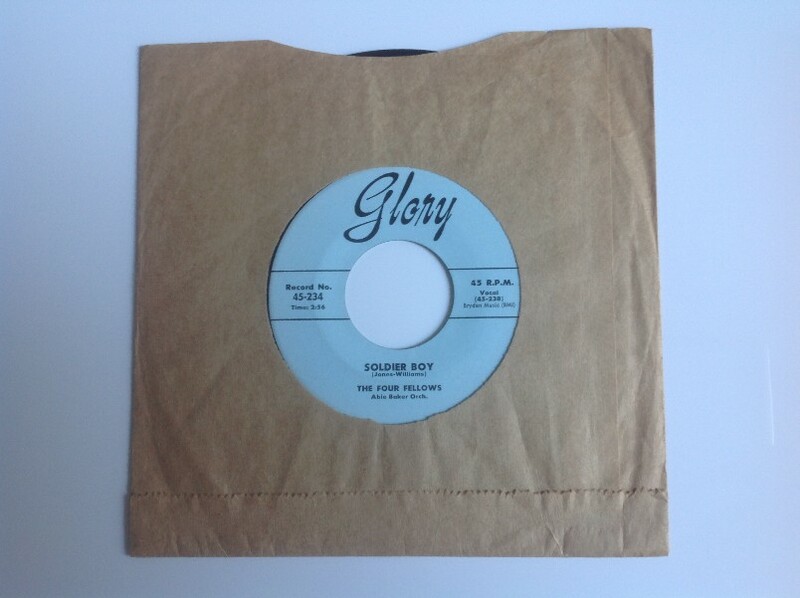 The single, on Glory 234, entered Billboard's R&B charts in July 1955 and remained there for 15 weeks. Although continuing to be popular, the Four Fellows never again emulated the success of "Soldier Boy."